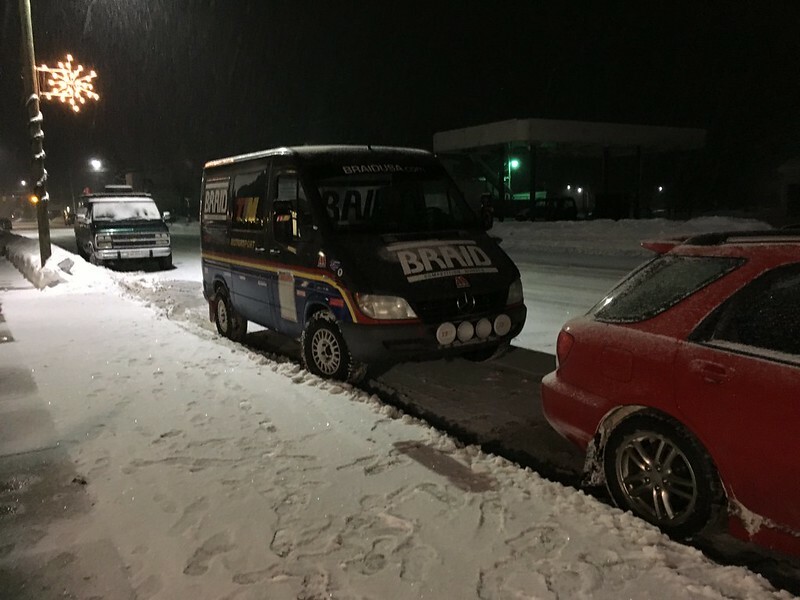 A couple of weeks ago we made our annual pilgrimage up north to attend the 2019 running of the Sno*Drift rally. This is a unique and enjoyable event we have attended in some form for the last 12 years or so. 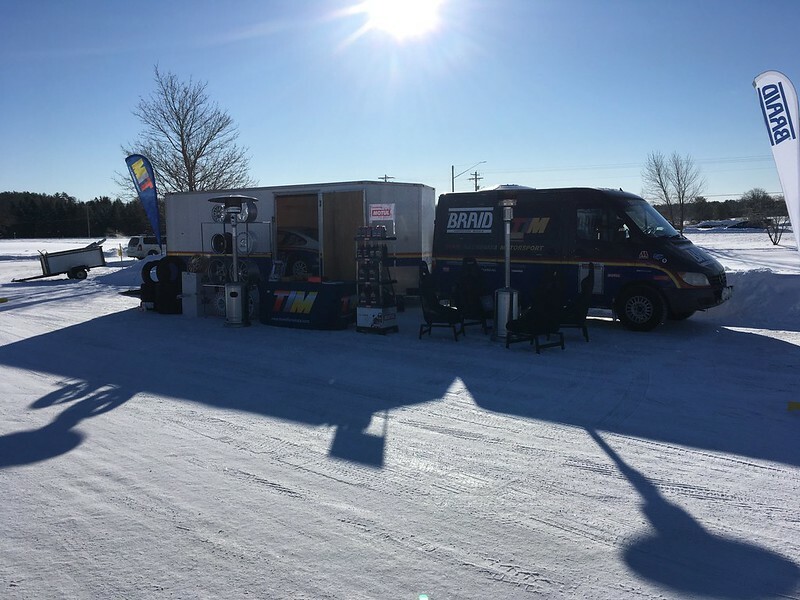 In the past we have serviced for teams or just spectated but in more recent times we have sponsored the event and set up a display at various locations on both days. We have even donated one or two of our vehicles for course duty on occasion. This year was no exception, except for one thing. it was SOOOOOO cold! And there was lots of snow. Ideal conditions for the drivers but brutal for the spectators, workers and sponsors hardy (or foolish) enough to set up a booth. But we did, both days. Saturday found us on the High Street in Lewiston. It was a balmy 5F for the afternoons parc expose with a steady breeze blowing in from the west. 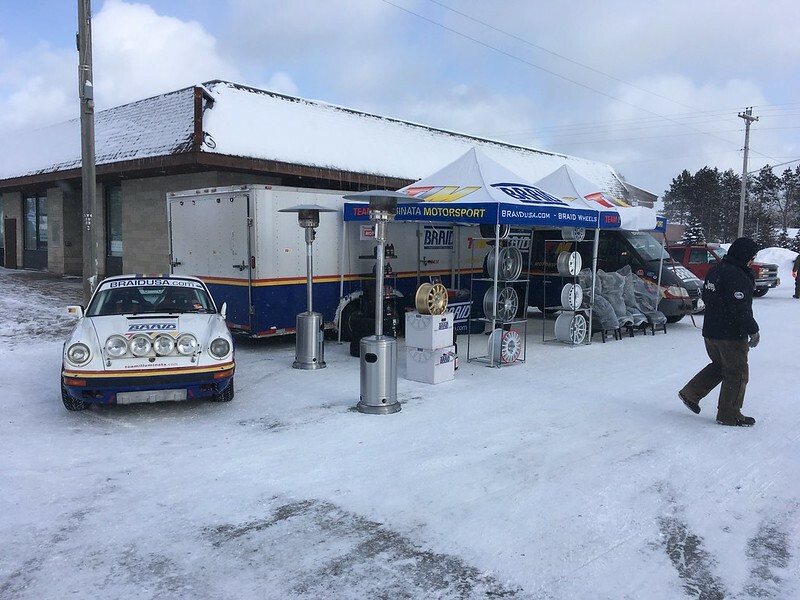 We had a prime spot at the entrance to parc expose and tried positioning the RALIVAN as a wind break but it just made our display face away from everything so we relented and move it over to the other side. We were feeling quite smug because we had bought two propane fired patio heaters specially for the event. However, it was so cold they only served as nothing more than elevated hand warmers. We had dragged up the Carrera RX to put on display as usual and intended going spectating in it later as we often do. 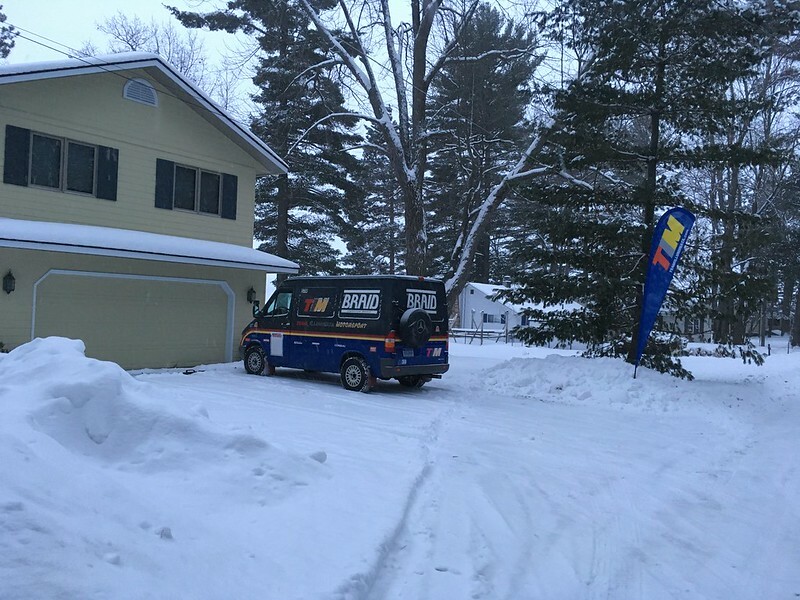 Unfortunately, the fuel line leak we thought we had finally fixed did not like the cold temperatures so that but an end to that idea. Still, we did get to drive it 30 feet, twice! Saturday we were scheduled to attend parc expose and the start in down town Atlanta then set up our booth in the service area at the local high school. It didn't start well as it was -28F when we got up at 6am. Fortunately we had plugged the RALIVAN's block heater in the previous night so at least it started. It was not happy though. We were not happy either when we couldn't get into the yard where we parked our trailer overnight as the lock was frozen up. (did we mention it was a bit chilly?). We decide to go to Atlanta with just the van and set off but then decided it would be better to skip the parc expose and do whatever we had to do to retrieve the trailer. When we got back to the yard someone had already opened the gate so we hooked up the trailer and headed over to the high school. It's always windy at Atlanta high school and this day was no exception. Add (or is it subtract) that from the -20F temperature and it was going to be a bitter day. The 911 refused to even turn over. Apparently the 60 feet of driving yesterday was not enough to replenish the resources removed from the battery getting it to actually start twice. Then we couldn't get our pop up tents to actually pop up as we were wearing so many clothes and the cover was cold and inflexible. They went back in the trailer. We got the heaters out but didn't bother firing them up; there seemed no point. The cold kept the crowds away but there were a few hardy souls we talked to during the day. It was nice to pack it all away and return to our warm and cozy rental house and share stories and a few bevvies late into the evening. Of course we will be back next year, regardless of the conditions. It couldn't be any colder at least.